The life story of Publilius Syrus tells that a person can change his life and destiny with his talent. He was a slave originally from Syria. His master brought him to Italy but soon he got freedom from the slavery. He was exceptionally talented. Impressed with his intellect, his mastery educated him. 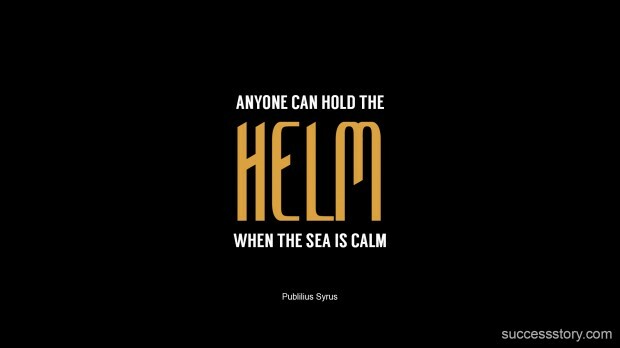 Publilius Syrus has vast store of influencing quotes. He has expressed his thoughts and ideas on many aspects of life very beautifully in his quotes. His quotes are short and simple to understand for anyone. They are very useful in day to day life. One of very noteworthy quote of Publilius Syrus is about the meaning of life. 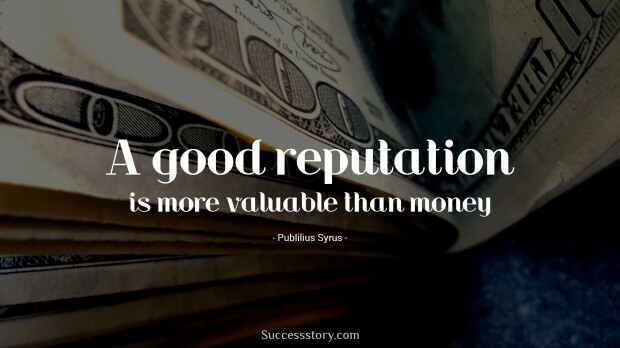 In his quote he said that in life a character or a reputation that a person earns is more valuable than the money he collects. "A good reputation is better than money essay"
"Anyone can hold the helm when the sea is calm"
Through his quotes he wants to tell people that while living one should be more focused on acquiring good reputation than the money. He gave more importance to the good work we do in life than mere wealth. He had achieved great success through his acting in mimes. He had a reputation of improviser and also been praised a lot by Caeser. He has challenged the people in one more of his quotes saying that come up and be brave. He says in his quotes that when sea is smooth means when things are okay, anyone can lead. When things are challenging we should be able to take control of things. That’s a sign of true hero.